Speed rules. 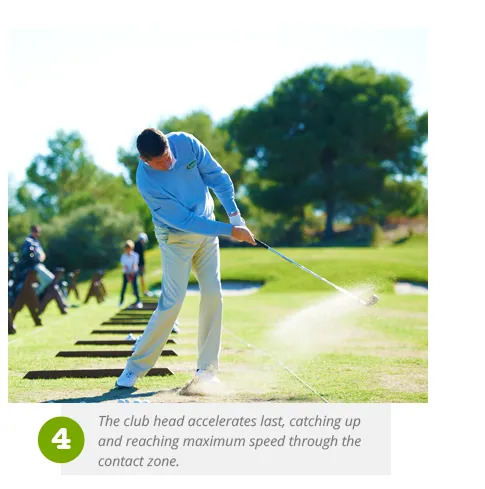 Just a single mph of extra club head speed will translate to 4 extra yards. How hard can it be to find an extra mile per hour? 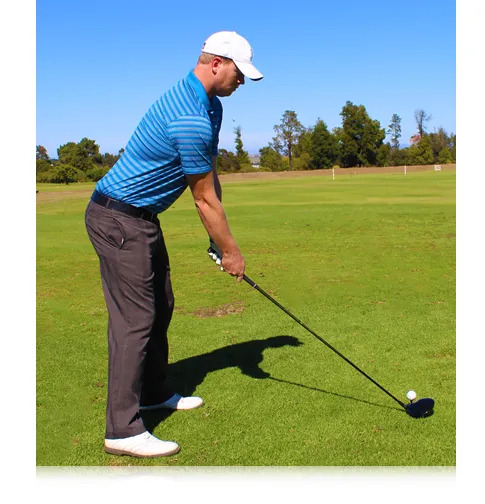 I know you all hate golf coaches going back to the basics, but you need an athletic setup and posture. Does your set up allow you to rotate the upper body? How does it allow the relationship between the lower half and upper body to work? 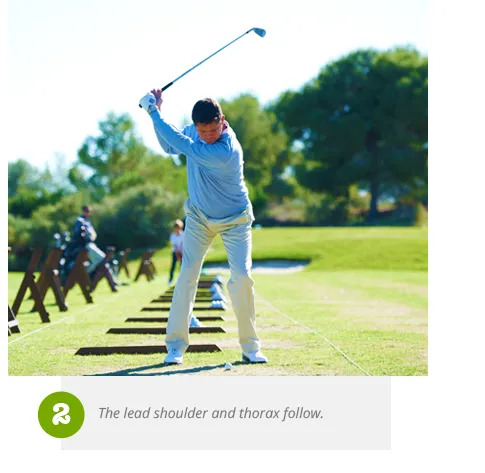 Where is your weight at the top of the backswing? Has it perhaps shifted to your front foot? We need to get you into the right position to move your weight through the ball. 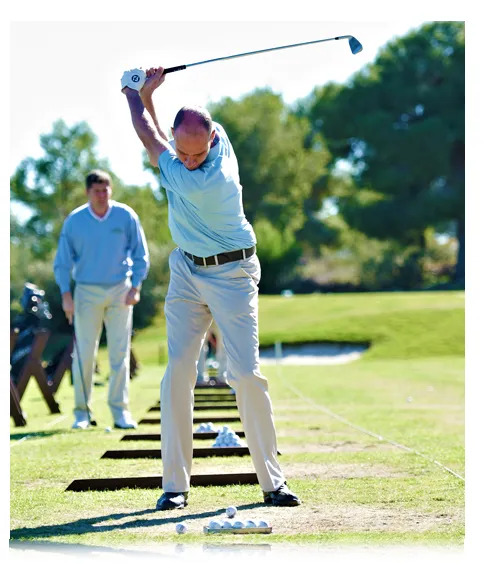 The golfer on the left has every chance of generating good club head speed with weight transfer through the ball. You’ll read and hear all sorts of ‘expert’ commentary watching the golf on the TV: “quick hands”; “fast hips”; “late release”. Most of you need to ignore it. You need to get some basics right. Your setup and your weight movement through the swing are easy improvements to make. Are you going to be able to sequence? 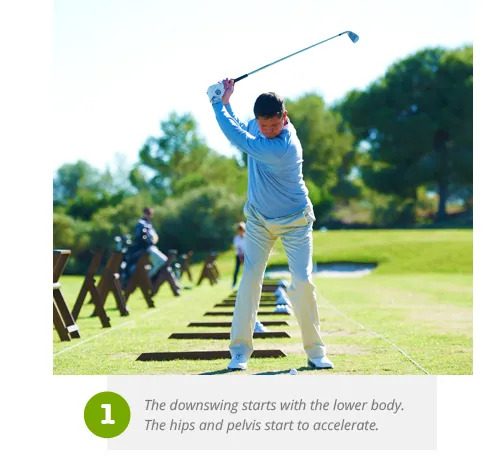 Many golfers can’t ‘separate’ their hips from their shoulders. The results is that when they turn back and then back to the ball, everything will move together. That is not what we want. So, let’s check your flexibility. 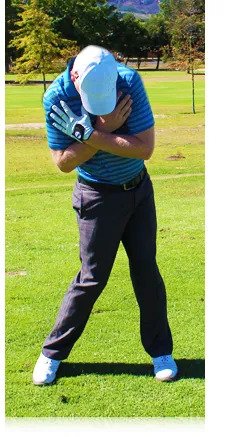 Get into the posture for a mid-Iron but with your arms crossed across your chest (as shown in the first image). Then, without moving your shoulders, try and turn your hips back and through (as shown in the second and third image). The easier you find this little test, the easier it will be to generate a faster club head speed. The very best golfers will know there is a ‘whip’ effect here. 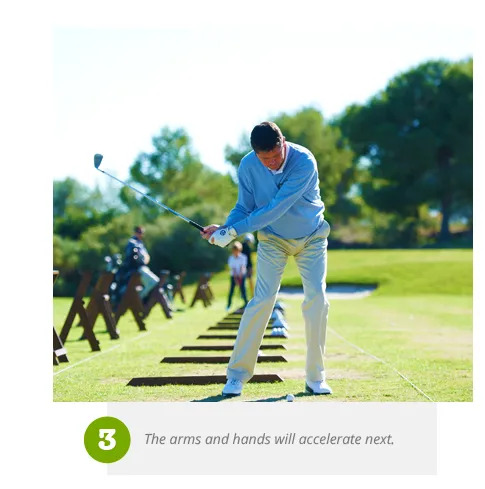 As fast as you accelerate so there is a rapid stop that allows the hands and club head to ‘whip’ through the ball. If you’re interested, this is known as the ‘kinematic sequence’. ?